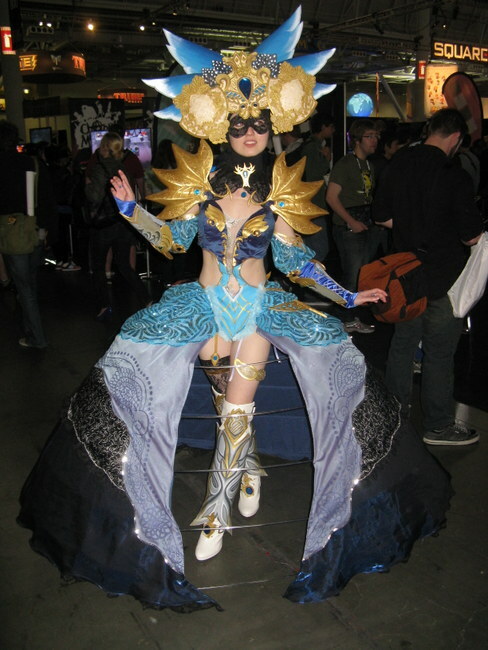 A smattering of the best costumes we saw at PAX East 2012. One of the highlights of every gaming convention is all the intricate costumes fans don on their way to playing new games and meeting with friends. Perhaps because it was Easter weekend, the best cosplay was reserved for Saturday afternoon and the intrepid Escapist news team was out in full force capturing the best costumes for your visual enjoyment. So without boring you with more introduction, here is our gallery of our favorite costumes from PAX East 2012! This woman - who I know now was cosplaying an armor set from the unreleased Guild Wars 2 - was absolutely stunning. The picture doesn't do her justice. Thanks to 2xDouble for pointing it out.